I am in favour of forms of worship and devotion (liturgy) as well as church order (episcopal structure) that reflect the ancient church for reasons of doctrine, as discussed last time, as well as the sacraments and, more nebulously, devotion. As a good Anglican, I believe that ‘There are two Sacraments ordained of Christ our Lord in the Gospel, that is to say, Baptism and the Supper of the Lord.’ (Article of Religion 25) My understanding of the sacraments, as well as of ancient Christian history, leads me to embrace the liturgical life of the Church. The sacrament of holy baptism is as old as Christianity. It is all over the book of Acts, and different angles on baptismal theology are found in the letters of St Paul. Baptism is biblical (so I guess the Salvation Army, for all its good, Christian service, is not?). Baptism is, in fact, part of the foundation of Trinitarian belief, as I wrote about in this blog post. The Didache and the Apostolic Tradition show me a baptismal practice that is liturgical, from as early as the year 90. And it is from the baptismal liturgy that our rules of faith emerged. And from the rule of faith emerges the Nicene-Constantinopolitan creed. To reject baptismal liturgy is to reject the foundations of my credal faith. And that faith is central to my self-understanding as well as to historic, orthodox Christianity. More than this, however, I believe that sacraments are ‘outward, visible signs of an inward, invisible grace’ (Anglican catechism). Baptism, as Article 26 reminds us, is not simply a symbol. It is never treated as such in Scripture, and never by the ancient fathers. Indeed, in the ancient church, they took baptism seriously as the entry of a person into his’er new life in Christ and into the church, with a period of teaching, fasting, prayer, and discipline to precede the liturgical action. This makes sense to me — becoming a Christian is a big deal. Historic baptismal liturgies take into account the ancient, biblical, patristic faith and understanding of the sacrament as a rejection of Satan, as a turning to Christ, as a grafting into the church, as either a seal (for adults) or a promise (for infants) of faith. Baptism was handed down to us by the ancient church, who had a liturgy for it early on. How can I reject the baptismal practice of the people who gave us baptism? Of the two sacraments acknowledged by the Anglican Articles of Religion, the Eucharist is the only one that is repeatable. Once again, the ancient evidence shows a frequent celebration of Holy Communion as early as around 100, and this celebration seems to have been liturgical. If the Didache, Justin, and the Apostolic Tradition all use a liturgy centred on the death and resurrection of Christ and his words of institution from Scripture, why should I reject this practice? Moreover, Holy Communion was believed by the ancients to be a potent reality. A true sacrament, whereby God communicates with us and is Really Present, giving us grace in a way that is distinct from his free-flowing grace that we may gain from silent, solitary prayer or word-centred preaching. 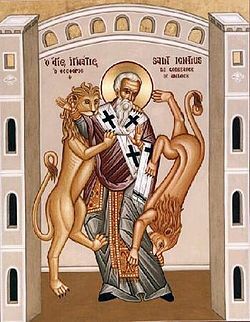 St Ignatius of Antioch (d. 117) calls it the medicine of immortality. St Ephrem the Syrian (4th-century) is similarly rich in his imagery for the Eucharistic feast. Holy Communion is a recapitulation of Christ’s death and resurrection. This is an idea find rich and running through St Irenaeus of Lyons (c. 180). Through the ritual action and the eating of the consecrated elements, we are participating in Christ’s death and resurrection. St Ephrem the Syrian would say that the eternal significance of Christ’s salvific death-and-resurrection penetrates our ordinary time, and that through the Sacrament we are actually participating in his one-and-for-all sacrifice (oblation and satisfaction for the sins of the whole world). Every Sunday, as traditional Presbyterians like to remind me, is Easter. So every Sunday should be eucharistic. This was the practice as far back as 150, and probably earlier (I think at Antioch, as far back as Ignatius, at least?) and right up to the Reformation. As I stated in a recent post about liturgy, the Eucharistic liturgy brings forth the riches of the Gospel. A weekly, liturgical celebration of Holy Communion was the defining act of worship and, indeed, of corporate identity for the ancient church. And they did it using words you will still find in the BCP, BAS, Divine Liturgy of St John Chrysostom, Roman Catholic Mass, etc. How can I be true to what I have learned over the past decade of study and prayer and struggle and spiritual growth and reject such worship? Spinning off from my reflections on Friday, I am a firm believer in disciplined living, albeit a bad practitioner. Once, I was on my friend Rick’s excellent and much more practical blog than mine, and there was mention in the comments about learning how to live by the Spirit and follow the Way of Jesus (I suppose in Franciscan terms, that would have been Via Apostolica). As a suggestion, I put out reading the Didache. My fellow-commenter said that he had read said text in seminary (or Bible college or whatever), and that it had left him dry. He then addressed Rick, tossing me and my lifeless, book-ridden version of Christianity aside, and said that Rick was a man who would understand this sort of question. Nevertheless, I think the Didache is to be recommended on two points. One point is that this document, which is a sort of church handbook from between 90 and 100, is the recorded experience and advice of a Church community, which was so popular that later documents, such as the Apostolic Constitutions, seem to have ripped it off. The wisdom of those who have gone before can help us learn how to live, it can inform our experience. The second point is the fact that ‘living by the Spirit’, which certainly includes an openness to His movement in our lives in areas besides morality and ethics, is never less than morality and ethics. The foundations of the holy life (which I have extolled here) are upright living and prayer. Something like the Didache or the Rule of Benedict or William Law’s A Serious Call to a Devout and Holy Life can help us order these foundational aspects of holiness, through which we can keep or make ourselves attuned to the power and movements of the Holy Spirit. The Way of Death is this. To begin with, it is evil, and in every way fraught with damnation. In it are murders, adulteries, lusts, fornications, thefts, idolatries, witchcraft, sorceries, robberies, perjuries, hypocrisies, duplicities, deceit, pride, malice, self-will, avarice, foul language, jealousy, insolence, arrogance, and boastfulness. Here are those who persecute good men, hold truth in abhorrence, and love falsehood; who do not know of the rewards of righteousness, nor adhere to what is good, nor to just judgement; who lie awake planning their wickedness rather than well-doing. Gentless and patience are beyond their conception; they care for nothing good or useful, and are bent only on their own advantage, without pity for the poor or feeling for the distressed. Knowledge of their Creator is not in them; they make away with their infants and deface God’s image; they turn away the needy and oppress the afflicted; they aid and abet the rich but arbitrarily condemn the poor; they are utterly and altogether sunk in iniquity. Flee, my children, from all this! And there we have it. The Didache goes on to discuss baptism, fasting, the Eucharist, apostles and prophets, Sunday worship, local officials, and eschatology. It is an interesting window into early Church life, probably from Syria (as I recall). I find that reading this sort of thing spurs me on to greater holiness. And if you are Reading the Fathers starting 2 December (as I recommended earlier), read the Didache in the meantime; it is short, and it is not included in that program. I do hope you will read it, and that you will join me and many others on a seven-year pilgrimage from 1 Clement to John of Damascus as we read the Fathers together! Do ‘rules’ and ‘order’ stifle the Spirit? For my two tutorials this week, the assigned texts for one were about the earliest evidence for church orders, ie. bishops, priests, deacons (and apostles and prophets). 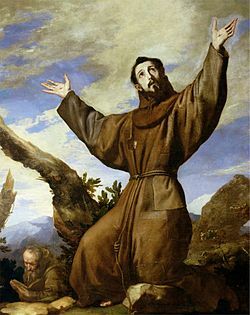 The other was about St. Francis of Assisi. Reading these, I’ve been thinking about rules and order and whether they are as stifling as some people say. For example, the Didache (ca. 90-100) teaches about how to go about baptising people and the Eucharist, and talks about receiving apostles and prophets. Clearly the latter group has some sort of charisma from the Spirit; the point of rules here is to help people discern between false and true prophets. I do not believe this is a way of stifling the Spirit but, rather, practical guidance for people in real situations. By St. Ignatius of Antioch (d. ca. 117), the ecstatic, charismatic role of the prophet seems to have melded with that of the local bishop — at least in Ignatius’ case. He asserts his authority through stating he has been given certain knowledge in a vision. This prophetic episcopal role will persist, as visible in St. Cyprian of Carthage’s statements regarding his own visions and dreams from the Spirit in the mid-200s. The Spirit has chosen to work with the people in the episcopal hierarchy — this is an observation regardless of whether or not episcopal hierarchy is the best way to run a church. The Spirit will blow wherever he pleases. The bishop, the hierarchy, seem to be taking on the role of mediating the gifts of the Spirit to the people. Unfortunately, the only evidence I know of for this period of lay charisma is Montanism (discussed here), which the hierarchy branded as heretical. So perhaps the hierarchy was stifling the Spirit somewhat — although, if we take Cyprian and Ignatius at their word, the Spirit seems to have got around the issue and is still communiting the Divine Will to the Church through the members of the hierarchy. And just when we think this state of affairs may solidify in the fourth century, the monastic movement begins — lay people outside of the official hierarchy of the Church claim direct access to God and special knowledge and mystical experiences. This potentially unstable element does not start to be tamed until the Early Middle Ages, after Benedict, and in the Carolingian age when Benedict’s Rule (discussed here) is used to regularise Western European monasticism. And so we have entered that long, large, and largely passed-over middle half of Christian history. Did the mediaeval hierarchy with its various developments, its liturgies, its monasteries, its canon law — in all their various manifestations throughout the centuries and places of Western Europe — stifle the movement and action of the Holy Spirit? St. Hildegard, St. Bernard, readers of Dionysius, Lady Julian, St. Catherine of Siena, the miracle-workers of visionaries of insular Christianity (vs. the tendentious romance of ‘Celtic Christianity’), seem to say to me no. Let us look at St. Francis of Assisi. Talk about someone with rules. Rules about what you eat and when, what you pray and when, how you get your food, how you deal with money (don’t), about preaching and working and so on and so forth. But look at the sheer whimsy of the man. Running off to become a hermit. Rebuilding San Damiano and Santa Maria di Portincula because of a vision. Singing songs of love to God in the streets. Abruptly preaching to birds, leaving his companions on the roadside. Abruptly leaving his companions on the road when he went to pray on an island for 40 days. Jumping off the dock to catch a boat to Syria. Climbing Assisi’s church steeple to ring the bell so the Assisians could enjoy the beauty of Sister Moon. Blown by the Spirit, indeed. But Francis respected the ecclesiastical hierarchy, the Pope, the priests, the Eucharist, all of that sort of thing. His was not an anti-clerical revolution. His charisma and openness to the the movement of the Spirit was not in opposition to how things were meant to be ordered — although undoubtedly opposed to how things often operated. We must not mistake anti-clericalism for ‘openness to the Spirit’ and a desire for order for ‘stifling the Spirit.’ If the Third Person of the Trinity truly blows where (s)he wills, then it is not a matter of how we order our churches but a matter of our hearts. Are we open for the next adventure, even if that adventure is the mundane task of growing vegetables in the monastery garden? Or if the adventure is cleaning a leper? Or if the adventure is preaching yet another sermon on the magnificent love of God to a congregation who couldn’t care less? Or if the adventure is running off to be a missionary in Morocco? If God pervades everything, our openness to his Spirit is not dependent upon our Church structures — be they allegedly anarchist or congregationalist or episcopal or presbyterian — but upon our hearts and those of our leaders. Same goes for Sunday morning worship. My musings upon the impact of the Desert Fathers are a reminder that the Mediterranean world of Late Antiquity is a very connected place, and thus patristic writers and thinkers do not operate in vacuums. There is, indeed, a fundamental interconnectedness of all things (to quote Dirk Gently as well as recall Robert E Webber, Ancient-Future Faith). The ascetic world produces some of the interconnectedness, as seen in yesterday’s post. St. Athanasius and the Desert Fathers knew one another. He was not only the biographer of St. Antony, but a great theologian who lived with the abbas and ammas whilst in exile. Evagrius Ponticus came to the Desert from the court in Constantinople. He brought with him the teachings of Origen, and although he had to learn humility, there is no doubt that Origen and other non-monastic teachers had an impact upon the thoughts and lives of the abbas and ammas. St. Basil the Great spent time with the monks of Egypt, after which he decided that coenobitic (or cenobitic) monasticism was the way forward, for how can you love your neighbour or be the servant of all if you live alone? Thus he wrote his Asketikon which influences Eastern Orthodox monasticism today. He was also a brilliant theologian, whose work On the Holy Spirit I have blogged about here. The relationship between Egyptian monasticism and St. Basil’s ascetic writings is worth exploring. St. 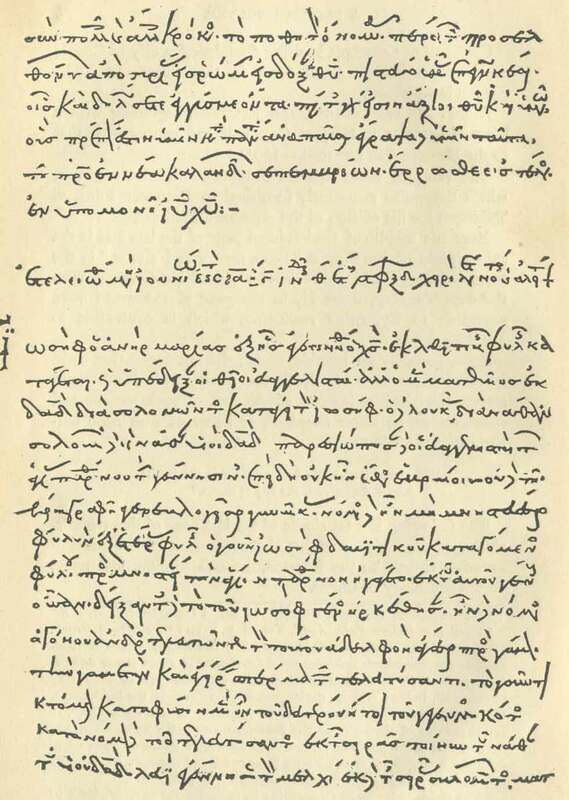 Basil wrote/edited a/the Divine Liturgy, the Eucharistic liturgy in Caesarea, Cappadocia. This work resounds with words, images, and ideas found in the later and more commonly used Divine Liturgy of St. John Chrysostom in Constantinople. Both of them demonstrate that they are of the same lineage as the 1st-century Didache and second-century Apostolic Constitutions of St. Hippolytus in Rome. They are also clearly related to the liturgy of St. Gregory of the Great in the sixth century. The liturgical world of worship was very much rooted in the same tradition, as we see in Taft’s work The Liturgy of the Hours in East and West where we see the daily office’s similarities in the Spanish, Celtic, and Roman traditions of the West, as well as of the Byzantine, Egyptian, Ethiopian, Assyrian, Indian traditions of the East. There is a common ancestry amongst all the historic churches of the world, and we see it in the fundamental interconnectedness of their worship. It is present as well in the world of theology, although cultural and linguistic differences begin fraying the fabric of the Church Catholic by the fifth century at latest. St. Augustine’s teaching on the Trinity does not differ from the Cappadocians‘. The doctrine of impassibility — troubling to moderns — was held by so many so strongly that St. Cyril of Alexandria had to defend himself from accusations surrounding the alleged heresy of “theopaschism,” the idea that God can suffer. The core of the faith, the rule of faith, is subscribed to by Justin, Tertullian, Irenaeus, and all the Fathers after Nicaea. There is one faith, one hope, one baptism, one God and Father of all. I’m running out of specifics from my mind itself; I’ll write more on this later when I have my notes on hand. Keep a lookout! The tag will be interconnectedness. For the next four Tuesdays of Lent, the Classic Christian small group will be looking at four spiritual disciplines: Fasting, Simplicity, Worship, and Service. Tomorrow night, we begin with Fasting. Fasting is a venerable practice engaged in by many of the luminaries of Scripture, from Moses to Elijah to St. Paul to our Lord Jesus Christ himself. The Didache relates that the early Christians fasted twice a week, on Wednesdays and Fridays. The Desert Fathers ate one meal a day around three o’clock in the afternoon. They taught that fasting was essential to the life of prayer — and undivided prayer was their purpose in retreating to the desert. One cannot pray on a full stomach — and John Cassian recommends never eating so much that you be satisfied. Fasting and prayer coupled together are the best defense against the demons and the evil thoughts that infiltrate our minds and tempt us to sin. Fasting continues to be emphasised throughout the monastic tradition, from St. Augustine and St. Benedict through to the Franciscans and the Dominicans. In course of time, requirements for fasting on particular days and at particular seasons mellowed to abstinence, thus, not eating (red) meat on Fridays or going vegan for Lent. In most Protestant circles, the emphasis salvation on absolutely nothing but faith in Jesus led to the falling away of fasting over time, even though Martin Luther, the loud proponent of justification by faith, fasted. In the 1700’s, John Wesley found himself inspired by the ancient Christian witness and practice. He fasted twice a week on Wednesdays and Fridays and required that those wishing to become Methodist preachers themselves fast twice a week. Fasting has an eminent pedigree. We who live in a culture obsessed with food, obsessed with consumption, in the thrall of instant gratification, should seriously consider fasting. We must not allow ourselves to become slaves to anything* — our bellies, our taste buds, food, grocery stores, advertisers, food production companies, restaurants, fast food joints. Ruling our bodies is a step towards freedom, and fasting is a step towards ruling the body. If you find yourself stoked about fasting & John Wesley, read his sermon on fasting, the text for tomorrow. *This would, in fact, include being enslaved to a rule of fasting. I was talking to a friend the other night who commented that it was really good to take calculus and physics at the same time — to get both the theoretical and the practical. I commented that I wasn’t so good at Physics (and little enjoyed it) but was good at calculus (and enjoyed it). I noted that I have generally preferred the abstract for the hard, practical, physical — I am, after all, contemplating studying the intricacies of Christology. * She said that she’s not really one for the abstract. And theology, as we understand it usually, is the work of armchair scholars, of people spending enormous amounts of time poring over Scriptures and scholars, and then thinking really hard about it. According to Greta Vosper, a Torontonian United Church minister, how we live is more important than what we believe. So does theology really matter? To take up last post’s thoughts, does Chalcedonian Orthodoxy really matter? I mean, Christians are followers of the Way, aren’t we? People who live by the life and teachings of Jesus of Nazareth, right? This means we should have a particular lifestyle, to follow, in the words of the first-century Didache, the Way of Life, rather than the Way of Death. How does Jesus having two natures really affect our ability to live by the following? A belief in the Trinity drives us to community, intimacy, and communion. It frees us up to enter into vulnerable communion and commingling with one another, knowing that, as persons made in the image of the triune God, we were made for this. Furthermore, it is only by the grace of God we can live the truly sacrificial life of love and joy that is laid out for us by the various injunctions of Christ found in the Gospels. If we do not trust in the true, living God, we are wilfully cutting ourselves off from His grace. As Miroslav Volf points out in Free of Charge, God showers his grace and forgiveness on us, it is our job to receive it with willing hands. If we do not take the gift given, we cannot benefit from it. Our theology should fuel our prayer and our worship. What we think of God influences how we worship, how often we worship, how we pray, how often we pray. The Arian worships a Christ who is not even God. Thus, in his heart, he is an idolater, even though the One he worships is perfect God. On the other hand, if we look at Christ and fall into the purported error of Eutyches, we see someone who did not taste fully of humanity, someone who had only a heavenly body. Thus, we are praying to a distant being, a God who only humbled himself so far. Prayer and worship are how God fuels us for his mission on Earth. True theology brings us to a place of true worship. May we all ponder the greatness and beauty of our God. And so Chalcedonian orthodoxy does matter. By the statement of faith made by the bishops in 451, we declare ourselves committed to a God who is so mighty that he was able to become one of us without diminishing his glory yet without compromising his humanity. This is the mighty, awesome God whom we worship. This belief should fuel us to humble ourselves, to go into the deepest, darkest, saddest corners of humanity to raise up the fallen and brokenhearted, to set captives free, and live out the Way of Life as citizens of the Kingdom of the Heavens here on earth. *Although good at musical and dancing theory, those are two of the areas where I greatly prefer the practical. Also in worship and the Eucharist, although I enjoy the theories and theologies surrounding them, for they help deepen my mind’s engagement with the actions.